25th-anniversary recital as Pianist in Residence, California Institute of Technology. Mozart: Sonata in A Minor, K. 310. Prokofiev: Sonata No. 8, Opus 84. Written simultaneously—not sequentially—during WW II, and conceived as a "mega-sonata," these works–fiery and passionate, tragic and electrifying, despairing, sensual and sardonic–are a landmark of music literature. James Boyk may be the only pianist who offers all three on one program. A test for pianist and audience alike, but an unforgettable, life-changing experience. Schubert: Sonata in B flat, Opus Posthumous, D. 960. Prokofiev: Seventh Piano Sonata, Opus 83. See videos and audio of James Boyk teaching and his students playing. Also see pictures below, and the description of the unique sessions James Boyk gave weekly for 30 years as Pianist in Residence at California Institute of Technology. 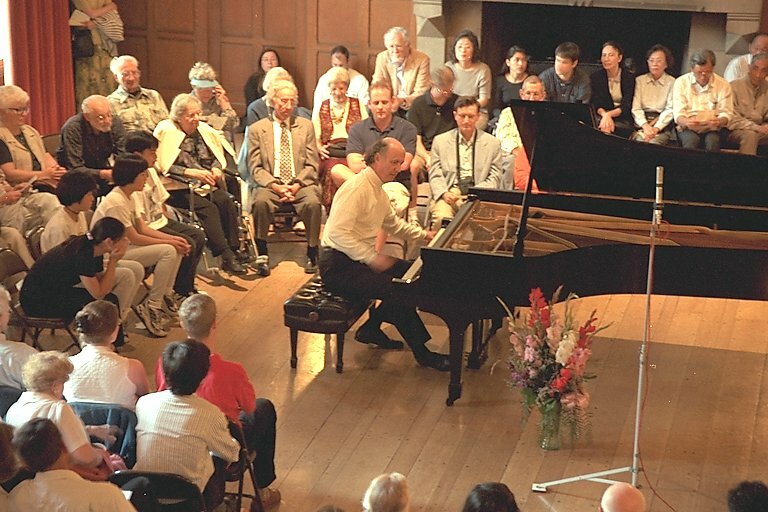 Visitors from many countries, and Caltech students and faculty, who went off to posts all over the world, agreed that these sessions embodied a uniquely powerful approach to music for both experienced musicians and novices. 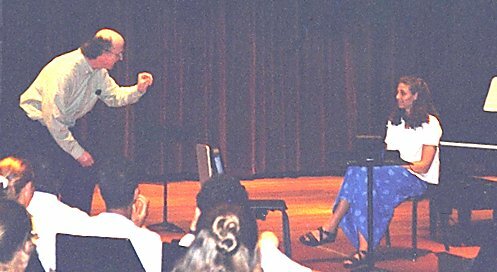 Master Class, University of Toledo (Ohio); with pianist Jennifer Markwood. Master Class at Longy School of Music, Cambridge, Mass; with pianist Jee Yeon Yim. At MIT Media Lab, a talk on "Piano Sound On Both Sides of the Microphone." Master Class at University of Southern California; with violist Luke Maurer. Copyright © 1997 - 2007 Performance Recordings®.